Oh good! How many did you make with just 1/6th the recipe? Sounds very intriguing! But they were good weren't they? I had the same problem as yours and its the temperature we just have to get that righht. 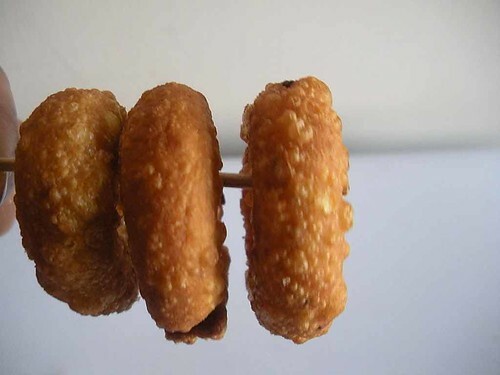 I too never knew about this until I saw it in some site.Anyway I like fried snacks thgh I have not made this one. :)..nice...maybe you will one day make the full cup and share?..no? I think I've tasted one of these, never knowing the name!! They look great!